The TAOTAO 110cc CHEETAH is powered by a dependable 4-stroke air-cooled engine. The ATV is also equipped with improved double A-arm front suspension, stronger rear suspension, and durable drum/disk brake to ensure the safety of our young riders. 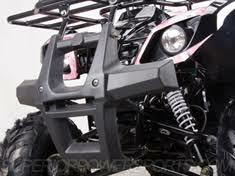 Our ATV also comes with a front bumper protector to protect the body panel from accident damage. All our ATV are made under very strict quality control by the ISO9000 certified manufacturers. Our ATV has the similar performance as many other brand name ATVs, such as Yamaha, Honda, and kawasaki. However our price is not even one fifth of their high expensive prices. you can have the same enjoyable riding experience while you keep that extra money in your saving. Now You don‚Äôt have to worry about the trouble of shifting or gears. Straight forward and uncomplicated for all ages to ride. Shopping experience was great. Product is good. 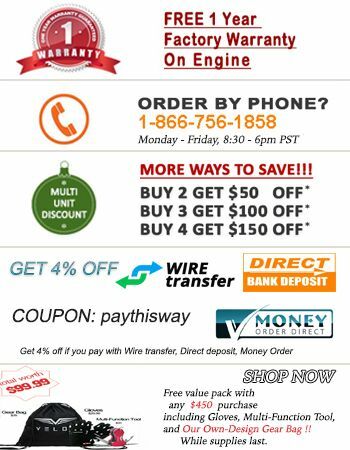 Its up and running and a good product. Ordered it on a Monday. I put it together my myself in an hour. My son rode it for the first time yesterday and had a great time. It seems to be a great purchase. Lift on delivery truck was broken. Had to reschedule delivery. So have to wait.